Montegrappa has long championed the use of natural materials, excelling especially in the use of celluloid for its most desirable writing instruments. One particular Montegrappa creation noted for this is the Extra 1930, which has evolved over the decades to incorporate a variety of metals, finishes and sizes. To address the world’s ever-increasing concern for recycling, as well as the use of renewable materials, the new, premium Extra Riverwood collection looks to the past to ensure the future. Starting with the much admired Extra 1930 design, Montegrappa has retained the classic shape, the use of sterling silver trim, the signature clip with rotating sphere and the Greek fret design etched onto the cap’s silver junction. From there the Extra Riverwood departs from the use of celluloid or resin. Instead, Montegrappa’s craftspersons have worked with a truly organic substance: a rare, aged oak log. 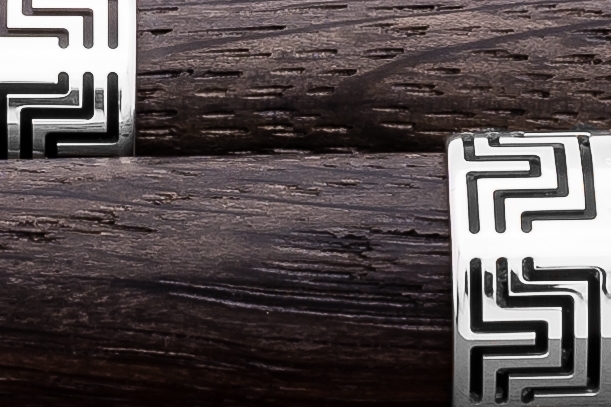 This exceedingly precious timber is found buried in the earth, often under the river beds. 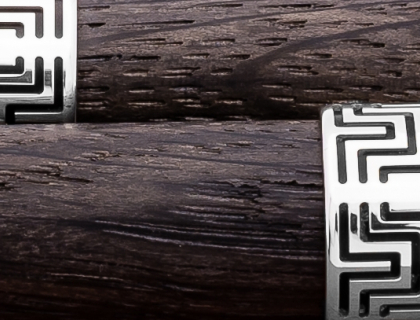 Choosing an archaeological, organic material that has been perfectly preserved for thousands of years creates a pen of unique tactility and beauty. When found, the wood is, for all intents and purposes, in an advanced phase of fossilisation, but not yet carbonised. The aged wood is characterised by its brownish-black colour, with small, natural irregularities establishing the validity of its authenticity, its origins and its history. Such woods have been used for tobacco pipe-making because of inherent fire-resistance and neutral taste. It is a cherished material for the manufacture of custom jewellery, sculptural artefacts and even furniture admired by royalty, such as Peter the Great’s throne, and the bedroom suite of Louis XIV. 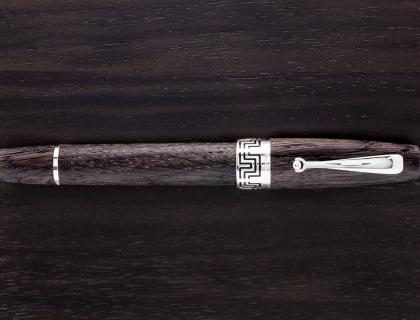 Montegrappa has chosen to use for its Extra Riverwood line a wood that is approximately 4.200 years old. The dating is established by the supplier, the leading specialist in the field, the T. Riverwood Company. The company owns the certificate of origin, attesting to the wood’s age and genuineness. Both fountain pens and rollerballs form the Extra Riverwood collection. 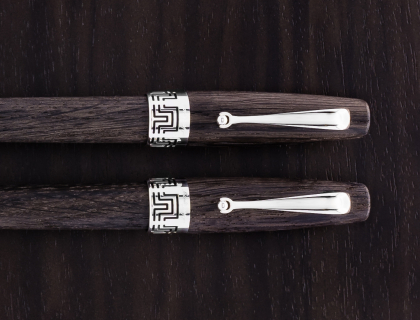 As with all Extra 1930 pens and their derivatives, all trim is in sterling silver, while the fountain pen has its 18k Greek fret motif-etched nib. The filling system is piston-fed. For this inherently limited run of writing instruments, the production numbers will be determined by the availability of the oak log material. 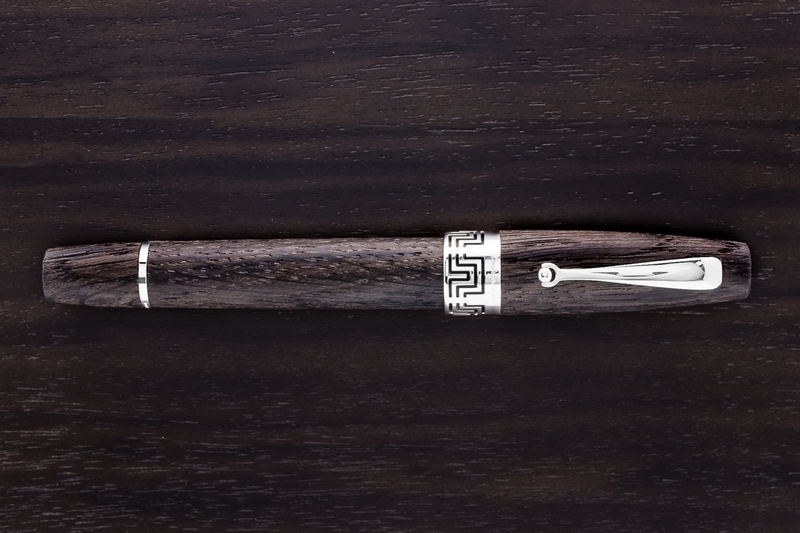 Montegrappa anticipates the availability of 100 fountain pens and 100 rollerballs. Like diamonds and amber, this rare timber is a material whose creation is dependent on the passage of time. 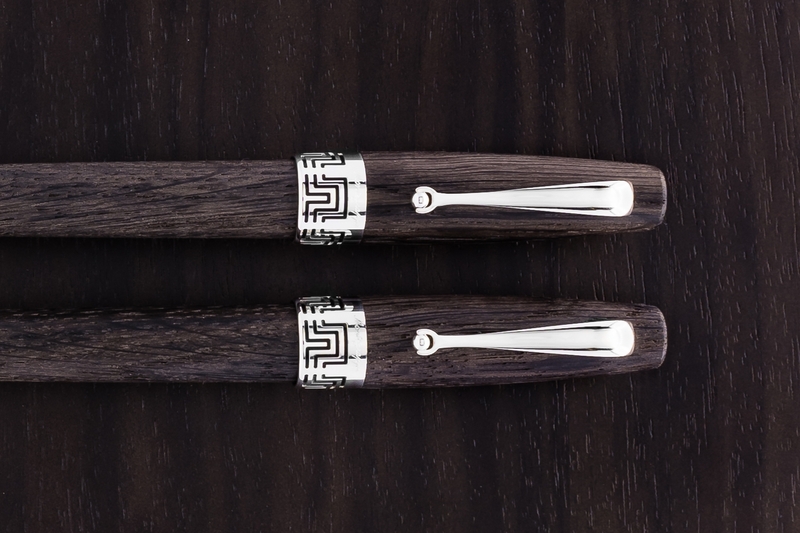 As the years pass, too, each pen will develop a unique patina at the hands of its users, the natural oils of both the writers’ hands and the wood itself creating what is – in modern parlance – a perfect example of interactivity.